Local experts let you "Try Before You Buy"
Orders by 4:00 PM are shipped the same-day. AirMini™ is the world's smallest CPAP at just 0.66 pounds (300 grams) and 5.4 x 3.3 x 2.0 inches. 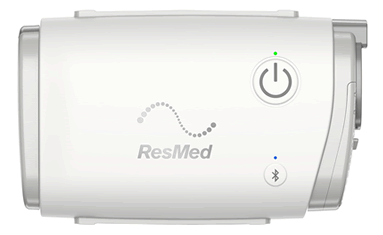 It comes with the same therapy modes as ResMed AirSense™ 10 bedside devices (CPAP, AutoSet™ and AutoSet™ for Her) and offers many of the same popular features including AutoRamp™, Expiratory Pressure Relief (EPR) and SmartStart™. And while it isn't required to operate the AirMini™, the AirMini™ app provides convenient control of your machine. Download it to your smart device for access to a range of adjustable comfort settings and your nightly score that tells you how well you slept. AirMini has been specially designed to work as an integrated system. Choose a compatible mask and setup pack to go along with your Airmini to enjoy high quality therapy no matter where life takes you. The Airmini uses a specific Tubing Kit, which are sold separately. 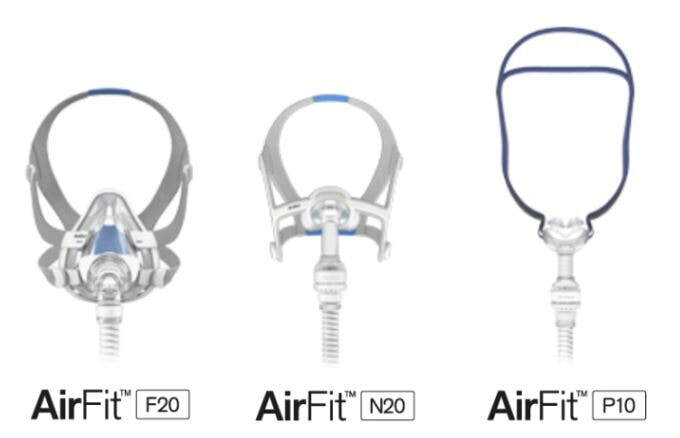 Unlike standard CPAP systems, with fixed pressure settings, the AirMini can be set at fixed CPAP and Auto CPAP modes. In Auto CPAP mode, pressure begins at a low comfortable pressure. Positive Airway Pressure gently increases when the AirMini senses airflow limitations, stopping apneas before they form. 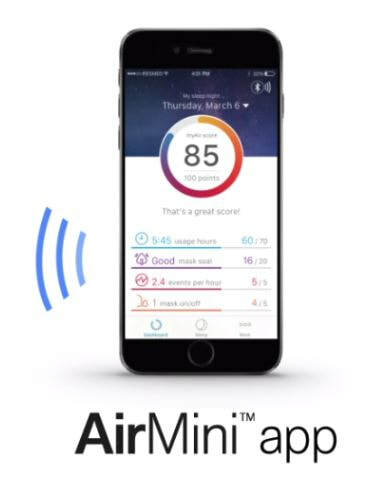 AirMini™ App: Take your new beginning in great sleep to the next level with a free online support program and app that is included with your device and automatically sends your data to your computer or smartphone. It lets you know how you slept the night before and helps you stay on track throughout your sleep apnea treatment journey. Coaching and reinforcement :Starting CPAP therapy can be a challenge. But with the AirMini App, you have a partner as you work towards a healthier, happier life. Delivered via email or text, personalized coaching and reinforcement messages can help you get the most out of your sleep therapy. You'll receive tailored coaching and tips on how to make therapy more comfortable. Praise messages will be sent when you meet certain therapy milestones.